Our real estate practice provides advice in connection with a variety of individual and commercial real estate matters, including: commercial leasing transactions; sale and purchase of residential homes, cooperative apartments and condominiums; real estate due diligence; representation of coop and condo boards; financing and refinancing of residential and commercial properties; and litigating real estate contract defaults. Lieber & Lieber, LLP is a contributor to the Prudential Douglas Elliman "Lucia's Green Neighborhood" newsletter, which publishes information of interest to buyers and sellers of real estate. I’ve made the decision that I’d like to purchase a home but have never owned my own place. What do I need to do before actually signing a contract to purchase? I’ve finally located the home that I’d like to own. What should I do next? You and your broker (if you are using one) will negotiate with the seller and his/her broker to reach agreement on a purchase price and other terms of the deal. Sites such as streeteasy.com provide useful information on the history of the particular listing (such as the length of time the property has been on the market, any price reductions, etc.) and the sale prices and listing prices of comparable homes. If you have previously retained an attorney, he or she can also help in this process. What are the roles of the broker and the attorney after my offer to purchase the home has been accepted? Once agreement is reached, the seller’s broker will prepare a “deal sheet” listing all the salient terms of the transaction (price of the property, address of the property, names of the seller and the buyer and their attorneys, etc.). The seller’s attorney will then prepare a contract of sale and forward it to your attorney for review. At this point in the transaction, the role of your attorney is critical. Your attorney will negotiate the contract on your behalf to make sure that it contains terms that are important to you (such as a financing contingency). Many attorneys spend little to no time negotiating the standard form of contract typically supplied by the seller’s attorney. At Lieber & Lieber, we prepare riders to the contract aimed at protecting your rights. If you are purchasing a coop or condo unit, your attorney should also undertake a “due diligence” investigation on the unit, the coop or condo corporation and the building before the contract is signed. At Lieber & Lieber, LLP, we perform exhaustive due diligence which involves (i) a review of the financial statements of the coop or condo corporation to determine its financial condition, (ii) a review of certain NYC public records regarding the building to see if there are open violations or complaints against the building, (iii) a review of the “minutes” of the coop or condo board to identify any issues or problem affecting the building or your particular unit and (iv) a discussion with the managing agent of the coop or condo corporation to likewise identify any issues or problems that you as a potential buyer should be aware of before signing a contract of sale. There have been many instances where our due diligence investigation has uncovered issues that have led our client to either decide not to proceed with the purchase or to renegotiate the purchase price. Many “bargain basement” attorneys fail to do adequate due diligence, which can result in trouble and costs down the road for their clients. (For a purchase of a house, as opposed to a coop or condo unit, we always recommend that a client retain an engineer to investigate the condition of the home prior to signing a contract for the purchase of the house. In special circumstances, we might also recommend this for a purchaser of a coop or condo unit.) Assuming the contract is successfully negotiated and there are no major issues or problems uncovered in the due diligence investigation, a contract of sale will be signed. When you sign the contract, you will be expected to deliver a personal check for 10% of the purchase price of the home as a deposit, which seller’s counsel will hold in escrow pending closing. I’ve signed a contract to purchase a home. What should my seller and I be doing? If you will be borrowing money to complete the purchase, you will immediately seek to obtain a commitment letter from a lender. A qualified mortgage broker will help to speed up this process and obtain the best interest rate for you. In a purchase with a financing contingency, you must usually supply the seller with a mortgage commitment within 20 to 30 days of the date the contract was signed. If you cannot obtain such a commitment, in most circumstances you will have the right to have your 10% deposit returned to you and you may cancel the contract. If you are purchasing a coop, your attorney will order a lien search to identify any liens that may exist on the property. If you are purchasing a condo unit or a house, title insurance will need to be ordered to satisfactorily insure your title to the condo or house and insure against liens. If you are purchasing a coop or condo unit, you will also need to begin preparing a “board package” for submission to the coop or condo board. This package will need to contain detailed financial information, including a financial statement setting forth your assets and liabilities, income and expenses, tax returns, pay stubs and bank/brokerage statements, business and personal letters of recommendation and other items. Additionally, if you are seeking financing, a loan commitment letter is required to be submitted. The financial information is necessary for the board to determine whether you have the financial wherewithal to carry the maintenance and mortgage costs associated with the apartment. If you are working with a qualified broker or agent, he or she will assist you in assembling the package. Once the package is submitted it will be reviewed by the coop or condo board. If the board deems it satisfactory, the board will usually request to interview you to determine if the sale to you should be approved (in the case of a coop). Once you are approved by the board, closing will happen shortly thereafter. At closing, you and your lender, if any, will pay the 90% balance of the money owed on the sale. Your attorney will assist you at the closing to explain to you what you are signing and make sure that all the documents are in order. I’ve made the decision that I’d like to sell my home. Should I list it with a broker? Although you can attempt to sell your apartment or house on your own, it usually makes sense to engage a broker to help you price the apartment and locate a buyer. Although you will have to pay a commission to the broker upon sale of the home, an experienced broker can often locate a buyer for your home faster than you would be able to do on your own, or for a higher price than you would be able to obtain on your own. Brokers typically require that you sign a brokerage agreement; our clients sometimes ask us to review the agreement and advise them on the consequences of the agreement. A brokerage agreement can often contain traps for the unwary. Even before you locate a buyer, we would suggest that you locate a reputable, experienced attorney who can help guide you through the process. At Lieber & Lieber, LLP, the earlier in the process that you engage us, the more assistance we will be able to offer you. We have seen far too many deals fall apart because a client did not have a lawyer experienced in real estate matters who know the customs and practice of purchasing in NYC. As a seller, I’ve just received an offer for the purchase of my home. What are the next steps? You and your broker (if you are using one) will negotiate with the buyer and his/her broker to reach agreement on a purchase price and other terms of the deal. If you have previously retained an attorney, he or she can also help in this process. Once agreement is reached, your broker will prepare a “deal sheet” listing all the salient terms of the transaction (price of the property, address of the property, names of the seller and the buyer and their attorneys, etc.). Your attorney will then prepare a contract of sale and forward it to buyer’s counsel for review. At this point in the transaction, the role of your attorney is critical. Your attorney will negotiate the contract on your behalf to make sure that it contains terms that are important to you. Many attorneys use only the standard printed form contract and do not add any riders. At Lieber & Lieber, we prepare riders to the contract aimed at protecting your rights. Many “bargain basement” attorneys fail to adequately negotiate the contract, which can result in trouble and costs down the road for their clients. Assuming the contract is successfully negotiated and there are no major issues or problems uncovered in the due diligence investigation from the buyer’s perspective, a contract of sale will be signed. When the buyer sign’s the contract, he will be expected to deliver a personal check for 10% of the purchase price of the home as a deposit, which your attorney will hold in escrow pending closing. I’ve signed a contract to sell my home. What happens now? If your buyer will be borrowing money to complete the purchase, he will immediately seek to obtain a commitment letter from a lender. In a purchase with a financing contingency, you must usually supply the seller with a mortgage commitment within 20 to 30 days of the date the contract was signed. If your buyer cannot obtain such a commitment, in most circumstances he will have the right to have his 10% deposit returned to him and he may cancel the contract. If you are selling a coop or condo unit, your buyer will need to begin preparing a “board package” for submission to the coop or condo board. This package will need to contain detailed financial information, including a financial statement setting forth your assets and liabilities, income and expenses, tax returns, pay stubs and bank/brokerage statements, business and personal letters of recommendation and other items. Additionally, if the buyer is seeking financing, a loan commitment letter is required to be submitted. The financial information is necessary for the board to determine whether your buyer has the financial wherewithal to carry the maintenance and mortgage costs associated with the apartment. If the buyer is working with a qualified broker or agent, he or she will assist the buyer in assembling the package. Once the package is submitted it will be reviewed by the coop or condo board. If the board deems it satisfactory, they will usually request to interview the purchaser to determine if the sale should be approved (in the case of a coop). Once your buyer is approved by the board, closing will happen shortly thereafter. At closing, your buyer will pay the 90% balance of the money owed on the sale. Your attorney will assist you at the closing to explain to you what you are signing and make sure that all the documents are in order. What happens if a coop board rejects a proposed purchaser of an apartment? Assuming the buyer has made application to the board in good faith, seller’s attorney, who will have been holding the buyer’s 10% deposit in escrow, will be required to promptly return the deposit to the buyer. If the buyer, however, has not acted in good faith in its application to the board, then the seller may be permitted to retain the deposit as liquidated damages. Obviously, seller and buyer will usually disagree as to disposition of the deposit. This dispute will be resolved by either negotiation between buyer’s counsel and seller’s counsel and/or litigation. When making a decision as to the retention of counsel for a real estate transaction, it is important to select counsel such as Lieber & Lieber with the experience and capability to negotiate and/or litigate such disputes. In a coop, you do not actually own real estate, but rather shares in a not-for-profit cooperative corporation. Technically, you are a “lessee” under a proprietary lease, which regulates your rights and responsibilities as a “lessee”. The cooperative corporation owns the common areas of the building. In a condominium, you own the apartment in fee-simple, just as you would own a house, and you own an undivided interest in the common areas of the building. Condominiums are typically more costly to purchase than coops. In a coop, the board of directors will need to approve the sale of the unit to you before the transaction can be consummated. The approval process usually involves your submission of a detailed board application and an in-person interview. The board can reject you for any reason so long as such rejection is not a result of discrimination based on certain prohibited factors, such as race, religion, age, gender, sexual orientation, disability, or marital status. Thus, when you are purchasing a coop, there is always the risk that you can undertake the long process leading to purchase and be rejected for unstated reasons. Likewise, even if you are approved, any prospective buyer that you may want to sell to in the future may need to obtain board approval. (In many cases, board approval is denied because the purchaser lacks sufficient financial wherewithal. This is why it is critical that the seller retain an experienced listing broker who is familiar with the financial requirements of the particular coop board and who has pre-screened the prospective purchaser to ensure that such purchaser has a great likelihood of being approved.) In a condo, however, there is typically no right to withhold consent to the sale of a unit. Rather, the board of directors of the condominium has a “right of first refusal”, meaning that the board can cause the condominium to purchase the offered unit on the same terms as the seller has proposed to sell to the prospective purchaser. In practice, this right is rarely exercised. Therefore, neither sellers nor buyers have the same risk that they do when a purchase and sale of a coop is involved. Similarly, approval to sublease a coop typically requires board approval, whereas subleasing a condo unit is usually only subject to the board's right of first refusal. For a coop, the entire building is taxed as its own parcel and thus you do not pay real estate taxes directly. Rather, your share of these taxes will be included as part of your monthly maintenance payments. With a condo, your unit will be assessed separately and you will pay your taxes directly to the taxing authorities. For new construction, taxes are usually abated for a number of years. Monthly “common charges” assessed by a condominium corporation will usually be lower than monthly “maintenance” assessed by a cooperative corporation as the common charges do not include taxes. What transfer taxes can I expect to pay in connection with the sale of my coop, condo or house? What other costs can I expect in connection with the sale of my home? Your costs may include (i) a broker fee (usually 5%-6% of the sale price if you retain a broker), (ii) for a condo or a house, title insurance at statutorily determined rates, based on the purchase price of the property; this can be a substantial cost—many thousands of dollars, (iii) for a coop, a lien search ($275), (iv) a “flip” tax if your coop or condo building imposes such a tax on sales (usually 1%-2% of the sale price), (v) for a coop and sometimes a condo, the managing agent’s closing costs ($250 - $750), (vi) for a coop, stamp tax ($0.05/share), (vii) for a coop or condo, a move-out fee ($250-$500), (viii) fees in connection with the payoff of a loan on the property ($250-$500) and (ix) attorney’s fees (usually $2,000 - $3,000 in New York City, or more for a very expensive property). These figures are just estimates. What taxes can I expect to pay in connection with the purchase of a residential coop, condo or house? New York State imposes the so-called “mansion” tax of 1% of the consideration paid by a buyer for purchases of $1 million or more. What other costs can I expect in connection with the purchase of a home? Your costs may include (i) for a NYC condominium or a house, mortgage recording tax of 2.05% of the mortgage amount if you take out a mortgage of less than $500,000; for a NYC condominium or a 1, 2 or 3 family dwelling, 2.175% of the mortgage amount if the mortgage is $500,000 or more; and for all other NYC properties with a mortgage of $500,000 or more, 2.8% of the mortgage amount (in certain cases, 0.25% of the mortgage recording tax may be paid by the lender), (ii) for a coop and sometimes a condo, the managing agent’s closing costs ($250 - $750), (iii) for a coop or condo, a move-in fee ($250-$500), (iv) fees of your lender and its counsel (these can be substantial, but they vary by transaction) and (v) attorney’s fees (usually $2,000 - $3,000 in New York City, or more for a very expensive property). These figures are just estimates. I am planning to lease office, retail or other space for my business. The landlord has presented me with a standard printed form office lease. Do I need a lawyer to review and negotiate the lease? Definitely. While a standard printed form lease may work in certain circumstances, in most cases there will be circumstances unique to your situation that will need to be addressed or reflected in the lease. Additionally, there are various provisions that are protective of a tenant that are not included in the standard form and which competent, experienced real estate attorneys, such as Lieber & Lieber, will attempt to add as riders, such as provisions requiring the landlord to make certain repairs and replacements, allowing the tenant to sublease or assign the lease under certain circumstances and providing for grace periods in the event of a default by the tenant. My landlord is requesting that I sign a personal guaranty of all the obligations of my business under the lease. Should I sign this? 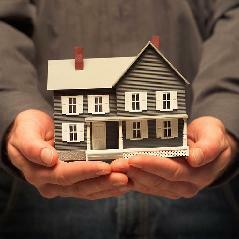 A landlord will often require the owner of the business to sign a personal guaranty. These guaranties can put a business owner’s personal assets at risk in the event of a default by the tenant under the lease. The form of the guaranty should be reviewed and negotiated carefully by an attorney to ensure that it does not unreasonably expose the owner to personal liability. In our practice, we have seen landlords initially request that an owner sign an unconditional guaranty making the owner personally liable for all rent due and to become due under a lease. We have been successful in persuading the landlord to accept a mere “good guy” guaranty whereby the owner has no further responsibility for future payments under the lease once the tenant surrenders possession of the premises.